Floating marine species and objects can drift from one area in the surface ocean to any other spot across the globe in less than a decade, finds a new study published in Nature Communicationsby Nereus Program alumnus James Watson, currently a research scientist at Stockholm Resilience Centre. The researchers used a computer model to specifically look at phytoplankton – microscopic organisms that live on the surface layer of water, obtaining energy through photosynthesis. Unlike other marine species, phytoplankton do not swim or self propel, so their movement is entirely reliant on ocean currents. A model showing the dispersal of particles over a three year period from low (blue) to high (red) concentration. Credit: Bror Jönsson, Princeton University. While there are not currently 50 billion tennis balls floating across the ocean, there have been similar accidental experiments in man-made objects making ocean voyages on their own. The authors mention the 80,0000 Nike shoes that were spilled into the ocean in 1990 and the 29,000 children’s bath toys that went overboard in 1992, both due to storms. These spills have been beneficial for mapping ocean current pathways and the author’s calculations show timescales similar to the actual time it has taken these objects to drift across ocean areas. 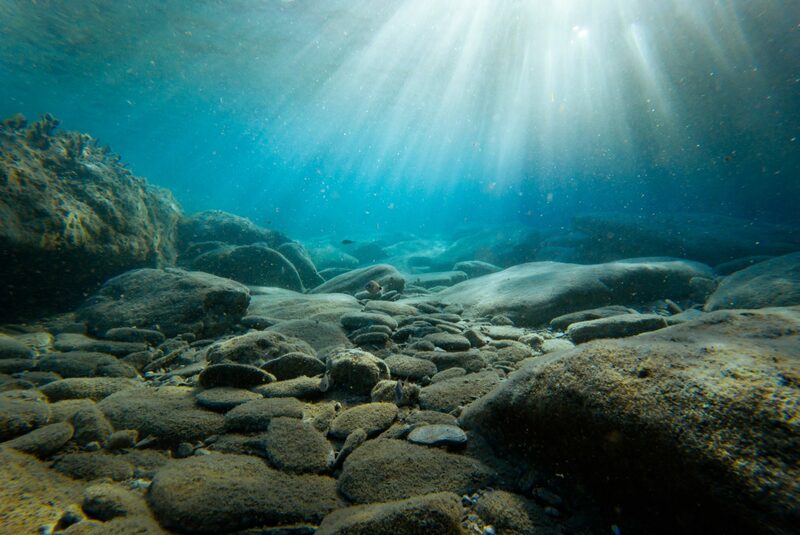 Though due to this high level of connectivity across the world’s surface ocean, it means that pollutants can travel faster than previously thought. Watson notes that microplastics, tiny bits of plastic that are ingested by a range of species from oysters to humpback whales, are increasing in concentration in certain parts of the ocean due to currents. But the findings also have implications for how phytoplankton will adapt to climate change.